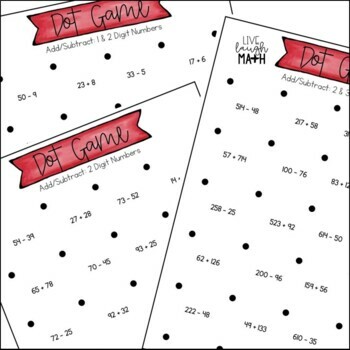 Add and Subtract Dot games are a fun and easy way to practice addition and subtraction of 1, 2, 3, and 4 digit numbers. 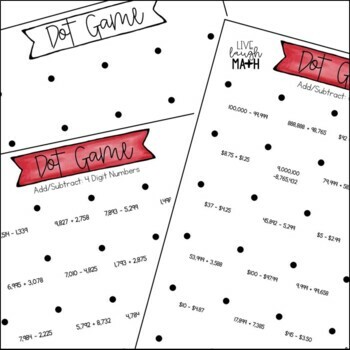 Dot games are a great activity for early-finishers, math centers, and review of adding and subtracting. SAVE 30% by buying this in the Operations Dot Games Bundle. Instructions & Tips for Teachers also included. 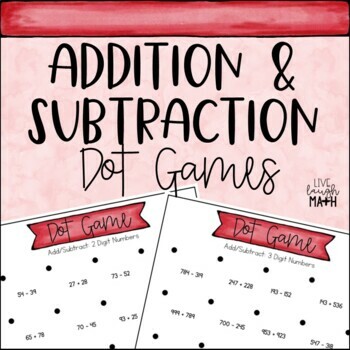 Download my Multiplication and Division Patterns Dot Game freebie to get more information on how to play.